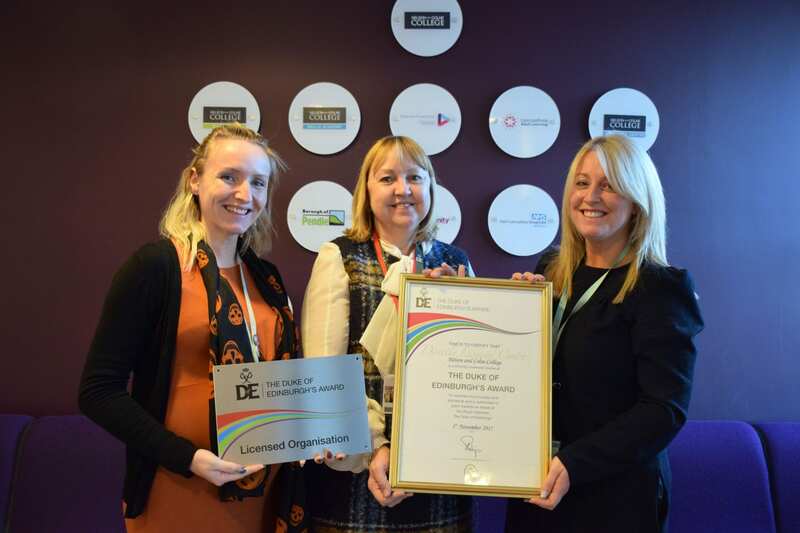 Nelson and Colne College has received a stamp of approval to deliver the Duke of Edinburgh’s Award programme independently. By becoming a Directly Licensed Centre to roll out the Duke of Edinburgh’s Award, NCC will have the independence to tailor and shape the award to the needs and interests of its students – meaning students will get an even better experience when completing the ultimate challenge. It also means that the provision is secure and ensures the college can sustain the award for years to come without relying on external providers. Nelson and Colne College currently offers the Duke of Edinburgh’s Gold and Bronze Awards to students looking to complete the prestigious challenge. Benefits of the Awards include building physical fitness and mental wellbeing, as well as testing thinking and developing communication and teamwork skills. The Gold Award requires each student to complete 12 months of volunteering, a physical and skills section, an expedition of four days and three nights and a shared activity in a residential setting away from home for five days and four nights. Eileen Thornber, the Duke of Edinburgh’s Award Regional Operations Officer has visited NCC to present a plaque to be put up in the reception area. Eileen said: “Congratulations to Nelson and Colne College on becoming a Directly Licensed Centre which allows institutions greater flexibility and freedom to tailor the Award to the needs of its students. “The college is excellent and we look forward to seeing many students achieving the Duke of Edinburgh’s Award and reaping the benefits of completing it in the years to come. The Duke of Edinburgh’s Award is part of an extensive and constantly-evolving extracurricular programme at Nelson and Colne College which ranges from Career Skills, Life Skills and unique Pre-Professional Programmes through to Creative Arts, Sports and Volunteering. Biology, Chemistry and Maths A Level student Safeena Minhas, 17, said: “I did the Bronze and Silver Duke of Edinburgh’s Awards when I was at Pendle Vale College and I really enjoyed it so I wanted to do the Gold challenge. It was great that the college offered it. “For my volunteering section, I’m working in a charity shop and I’m gaining confidence all the time through that. I am doing illustration as a skill as I’m trying to enhance my art skills and draw from my imagination. I play badminton for my physical section and I’m going to be working in a care home in March for my residential part of it, which I think will be a really rewarding experience. I’m also really looking forward to the expedition next year. Government data places Nelson and Colne College as the best college in the country for A Levels, based on the progress scores. It is also the top college in the country for learner achievement at all ages and levels and second in the country for its 16-18 Apprenticeship success. In its latest set of results, NCC achieved a 99.7% pass rate at A Level and a 100% pass rate in vocational courses. A Year 9 and 10 Open Event will take place at Nelson and Colne College on Monday 30 April between 5.30pm and 7.30pm.